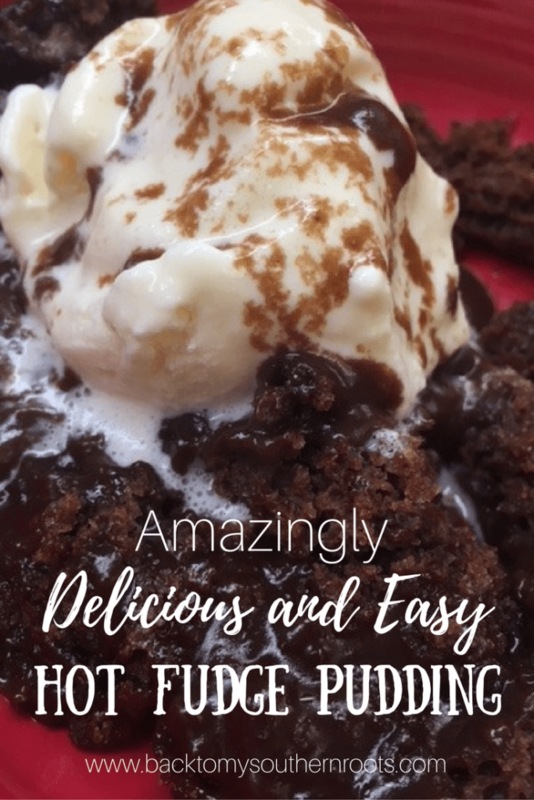 Hot Fudge Chocolate Pudding Cake is a delicious dessert. The homemade recipe is easy to make and a treat for the entire family. It tastes great with a scoop of ice cream. If you’re having friends over and really want to impress them, hot fudge chocolate pudding cake is the way to do it. It’s good stuff. 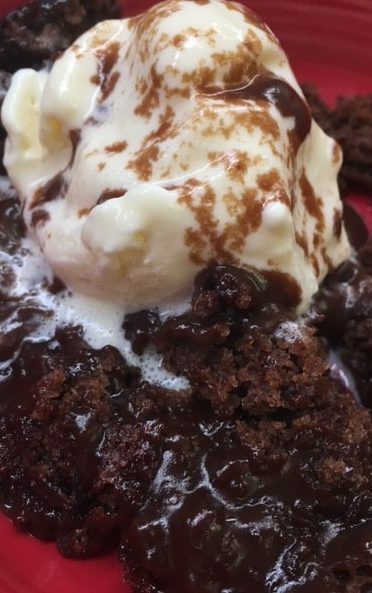 The hot fudge chocolate pudding cake is a great dessert, especially in the winter and holiday months. This would make a fun Christmas treat for a party. You’d be the hit of the night! 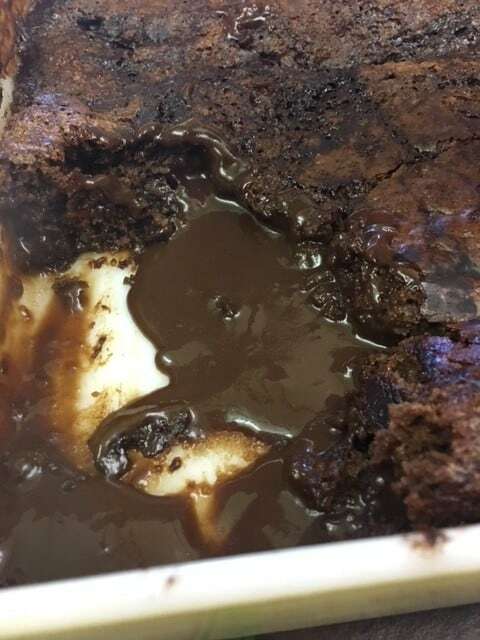 It’s hot and gooey, and looks like a chocolate volcano. When I pulled it out of the oven, I was a little worried that I needed it to cook more, but once I scooped it out into the bowl, the gooey fudge inside oozed all over and I realized it was done and perfect. Full recipe and directions listed below. Start off with your dry ingredients. 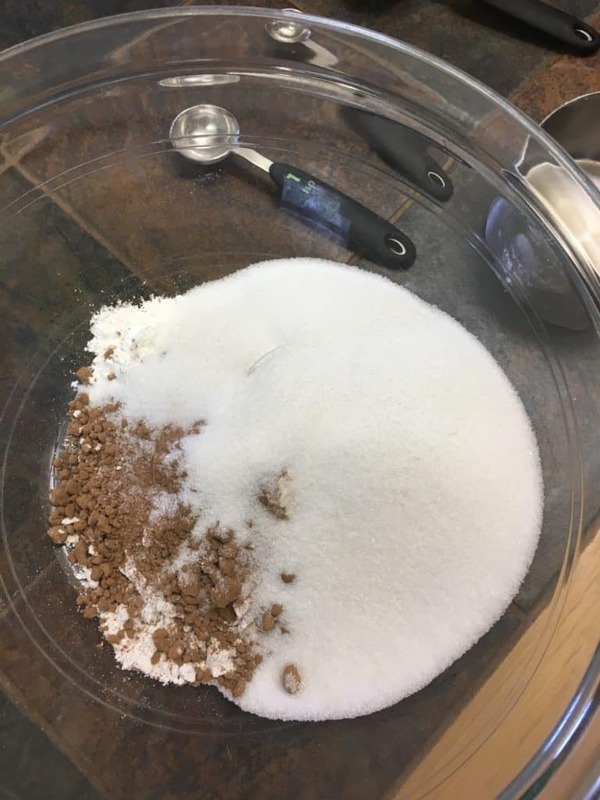 Sugar, flour, cocoa, salt, and baking powder all go into the bowl. Mix it up. Add the milk and shortening (mmm…shortening) and mix it up well. 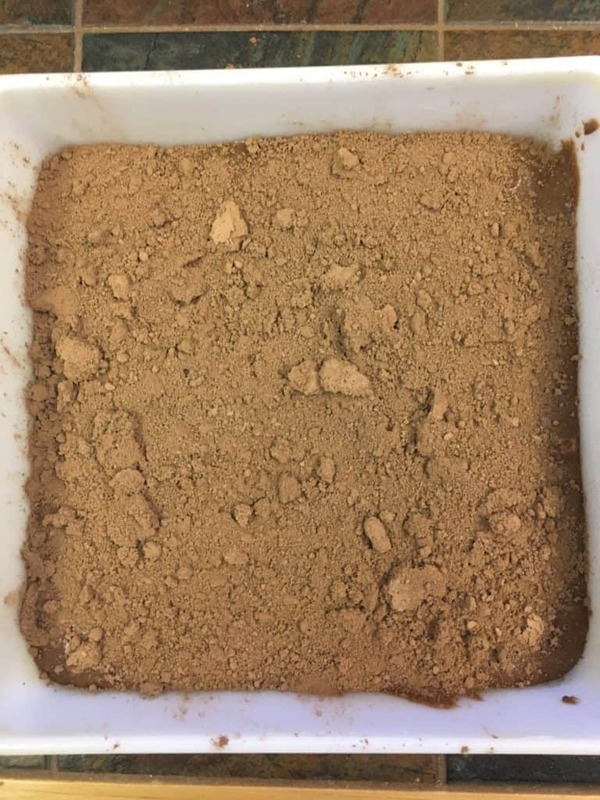 Add it to a greased 9″ x 9″ pan. In another small bowl, mix the brown sugar and cocoa and cover the top. It almost looks like a pile of dirt from the backyard. Don’t let that deter you, it’s a lot tastier, I promise. Well, not that I’ve ever tasted dirt from the backyard–at least not that I can remember. Add some water on top. This felt strange to me, like I was doing something wrong, or a science project! I haven’t made too many things where I poured water on the top. But, trust me, it’s ok.
Love chocolate? 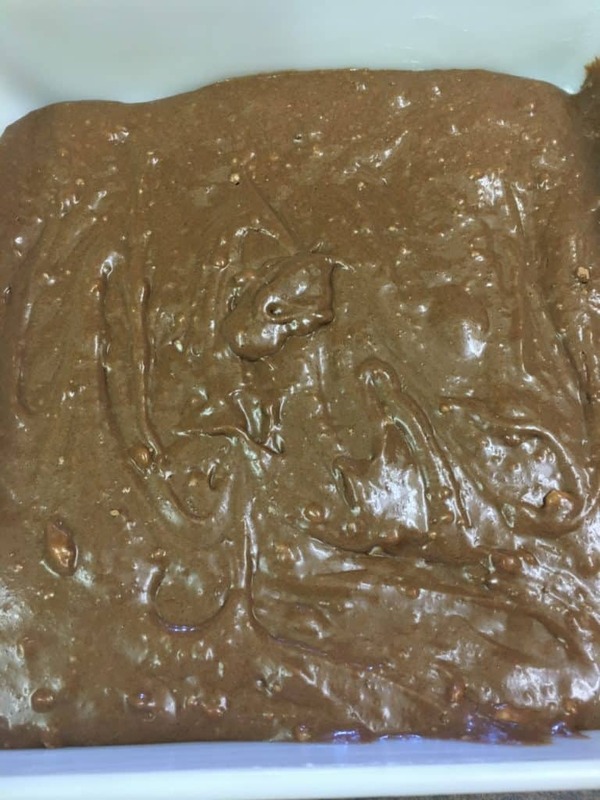 Click here to try my chocolate fudge that will make all your friends jealous. Pop it in the oven for 40 minutes and out comes the most delicious homemade chocolate dessert you’ve ever tasted. It’s so easy! It might come out a bit runny, but once it cools a little, it will thicken some more. Doesn’t it kind of look like a volcano? I’d tell you to go ahead and just stick your head in the pan, but you might burn your tongue. Mix the flour, cocoa, salt, baking powder, and sugar. Add the milk and shortening and mix well. 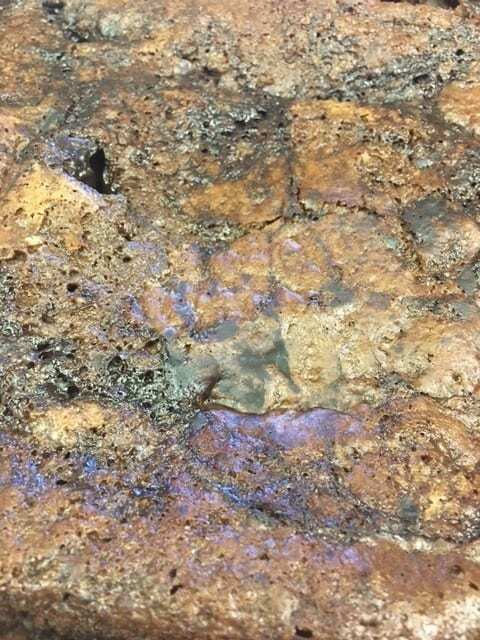 Pour into greased 9" x 9" pan. 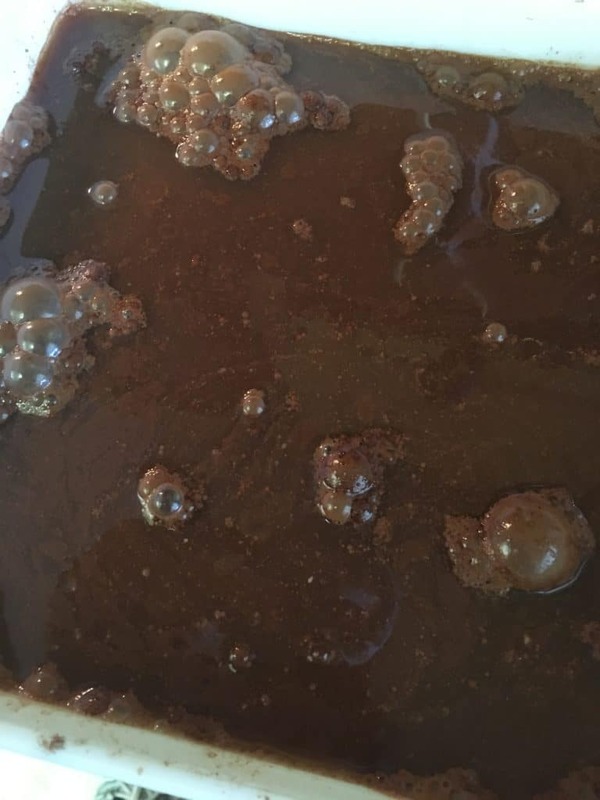 In a small bowl mix the brown sugar and cocoa. Pour 2 cups water over the top (do not mix the water in - let it sit on top). Scoop into a bowl and add some ice cream! Helloooooooo my BFF Chocolate! This looks so delicious! 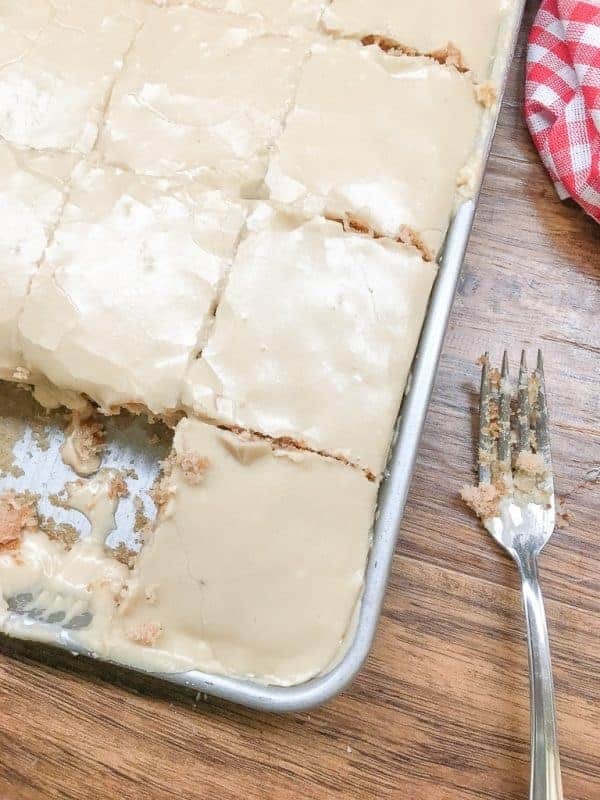 I have to make this soon… I MAY even share it with the grandkids! Thanks for sharing, Julie! Thanks! It soooo yummy! There might be enough for the grandkids! Lol! Have a great Saturday! Oh yum! 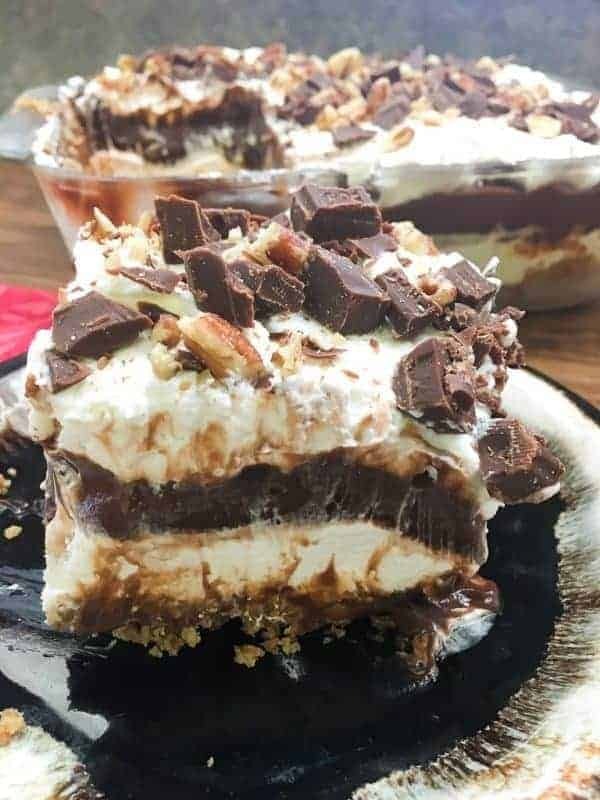 This dessert looks so decadent and sooo chocolaty!! We made some again last night. It was so delish!